It all started with a love for hockey and a passion for business. 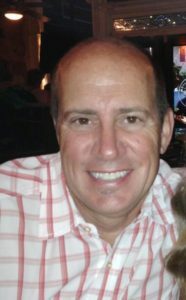 As a marketing major at Georgia State University and a member of their intramural hockey team, I met an Associated Press writer for Atlanta’s first hockey team, the Atlanta Flames, who also owned an advertising agency. I received an internship with that Atlanta ad agency while completing my BBA in Marketing with an Advertising concentration and upon graduation was offered a full time job with their account services team. Became one of the founding parters of WHM&G Advertising where we grew to a team of 25 full time professionals handling a wide range of national, regional and local consumer and business-to-business accounts from 1982 to 1997. Sold WHM&G to Freebairn & Company in 1997 where I was Executive Vice President for three years. Founded BullsEye Group in 2000 and have been having fun working with some great clients helping them grow their brands and their businesses ever since. We follow a proven three-step process to help you cost-effectively build your brand and grow your sales. 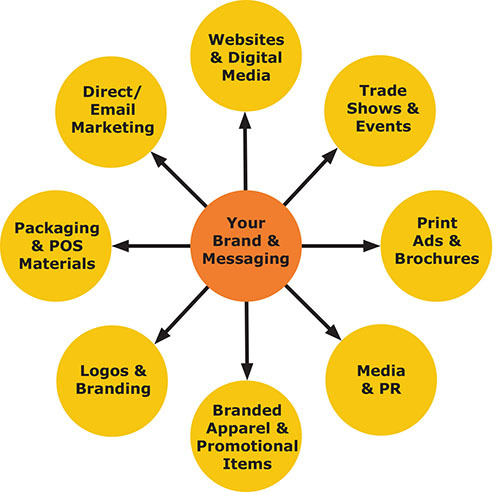 We help you properly POSITION your brand. Are small to medium in annual revenues but need help growing their brand and sales. Have limited internal marketing resources or communications skill sets. Are competing in a cluttered and competitive marketing environment. Produce lots of sales/marketing support materials but don’t really work from an integrated annual plan. Would like to be more consistent in how they position their brand throughout every element of their program. Need help improving the impact of, and return on, their marketing/advertising investment. We help you segment your markets and LOCATE your best prospects. Conducting an audit of all your current sales and marketing support materials and your key competitors’ activities. Holding structured Q&A sessions with your key executives, your marketing management and your key customers to discuss challenges, opportunities, needs and both short and longer term business objectives. Making sure we understand which market segments represent the greatest growth potential to help you properly allocate valuable marketing resources. We develop creative and impactful ideas that resonate and truly CONNECT with your best prospects. A summary of our key findings and an assessment of short and longer term priorities. Market research recommendations, as necessary, to ensure we have an objective perspective of how your brand is perceived by customers, prospects and key distribution partners before positioning and messaging strategies are developed. Brand positioning recommendations and messaging strategies for your key growth markets. An integrated plan, budget and schedule to begin re-energizing your brand(s) and growing your sales. Creative concepts that will be relevant to your audiences, entertain them and make them aspire to build a relationship with your brand. Our unit of sale is ideas and the expertise and time it takes to implement those ideas properly and consistently. The most successful brands come from clients who are willing to trust their marketing advisors, move beyond their comfort zone and implement high impact ideas. Budgets can never be ignored but it’s important to always remember that QUALITY is remembered LONG after price is forgotten.